Zafehouse Diaries 2 out now! The sequel to Zafehouse Diaires has arrived! You can now purchase the game on Steam or directly from us. Thanks to everyone who has returned for another outing in the drama-filled, chaotic world of Zafehouse and its unique brand of zombie mayhem! First up, thanks to everyone who provided feedback on our technical demo. Every bit of feedback - positive or negative - helps us fix bugs and optimise it for as many platforms as possible. We're getting very close to release. While you wait, check out our brand new trailer. 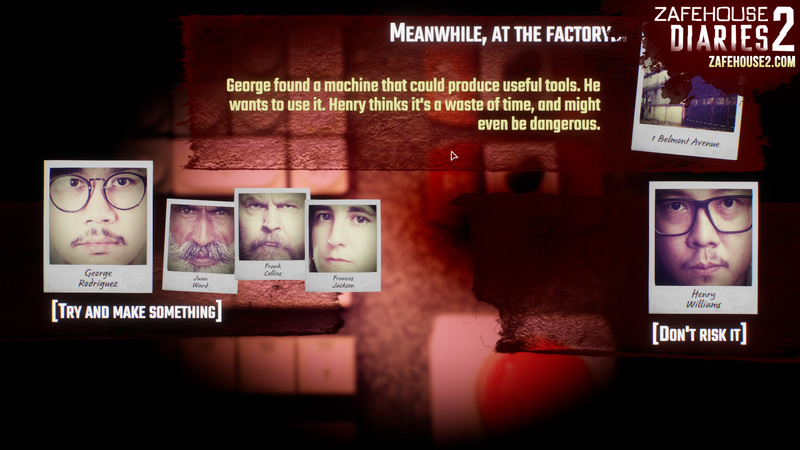 Zafehouse Diaries 2: Try the technical demo! Special demo builds of Zafehouse Diaries 2 for Windows and Mac have been made available, so we can make sure the game runs correctly on as many systems as possible. As such, we're focusing on feedback regarding problems with graphics, audio, input and anything else related to actually running the game. If you do hit something, we'd also appreciate a run-down of your computer's specifications, e.g. CPU, video card, amount of RAM, operating system and version (including service packs) and display resolution. Please post any feedback in this thread. If possible, let us know any information you feel is relevant (graphics drivers, hardware configuration, distribution etc.). If you'd like to contact us directly, email logan@screwflystudios.com for technical queries, and contact@screwflystudios.com with general questions. The cult hit from 2012 is now bigger, better and more terrifying than ever. 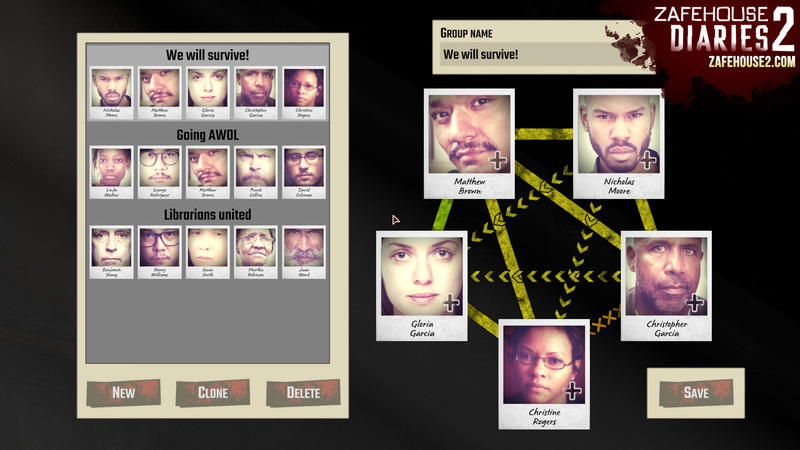 Take control of a group of people - each with their own skills, motivations and prejudices - and try to survive the zombie apocalypse. 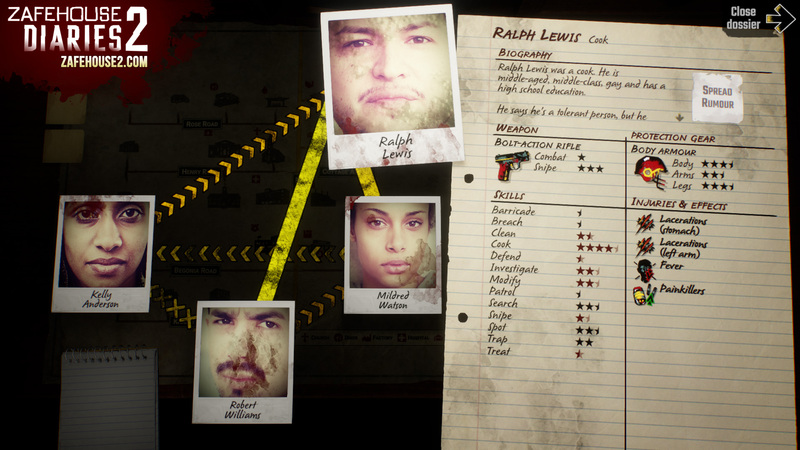 Zafehouse Diaries 2 has a wide range of customisation options - from custom survivors to gameplay options. 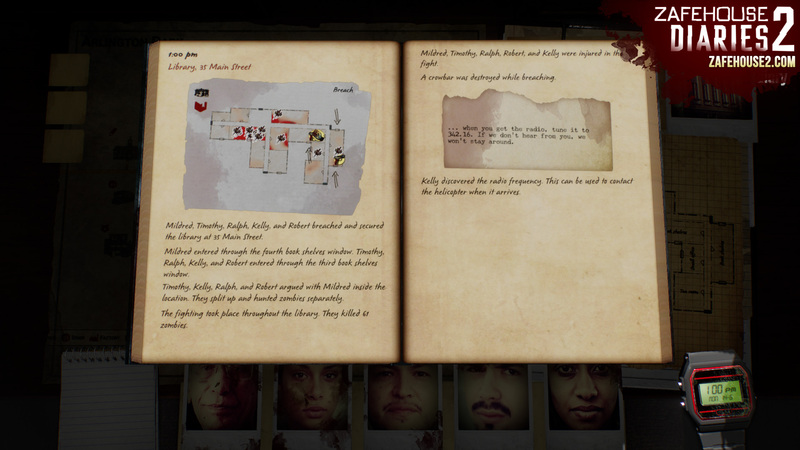 How does Zafehouse Diaries 2 differ from the original? I loved the original. Will I like this? Yes! We've taken all the great bits that our fans loved about the original, smoothed out the rough edges, and expanded on it. While we've added some extra complexity around combat and orders, we've also made the systems quick and easy to use, and included a smart set of defaults if you just want to go with the flow. I hated the original. Will I like this? We hope so! We've addressed many of the concerns that players had about the original, from technical problems to gameplay. It is still difficult - but the story is half the fun. 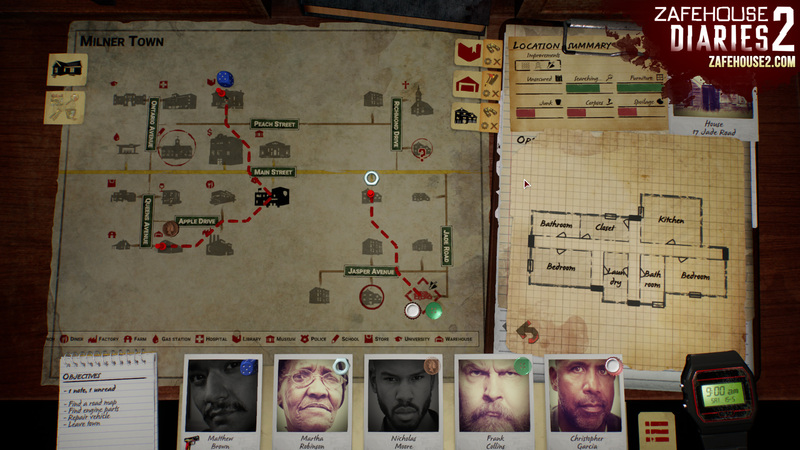 It also includes customisable difficulty options and a diverse set of scenarios. What are some of the new gameplay features? 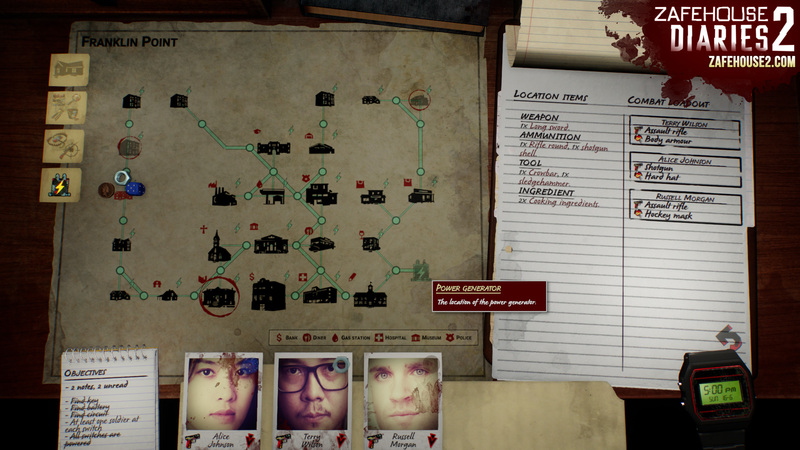 You have more control over how your survivors breach and investigate locations. 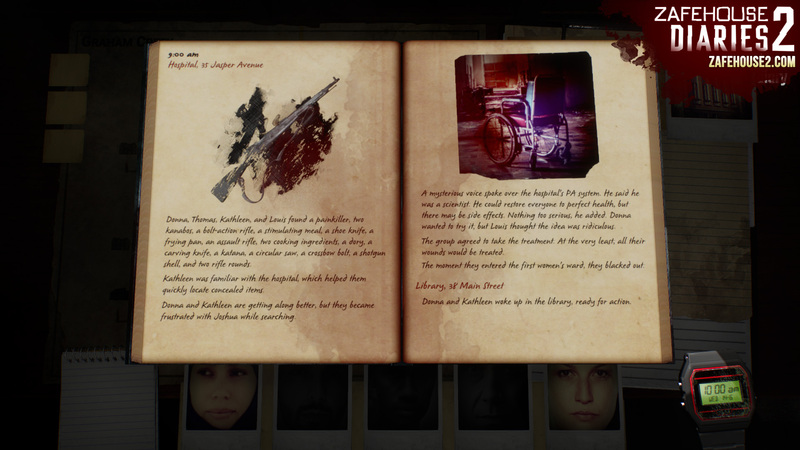 You can also equip your survivors with a weapon that they will always use. Some orders have more granular options - if you notice zombies massing to the north, then you can focus your barricading efforts on north-facing entrances. 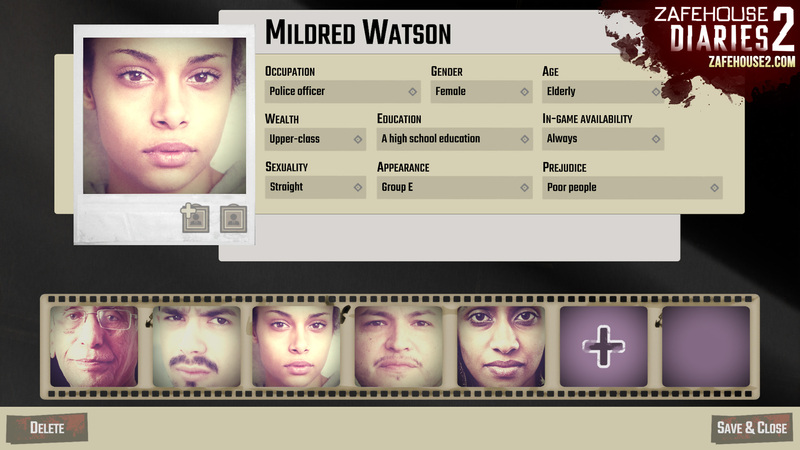 We've also overhauled many parts of the interface so it's easy to see what's going on. 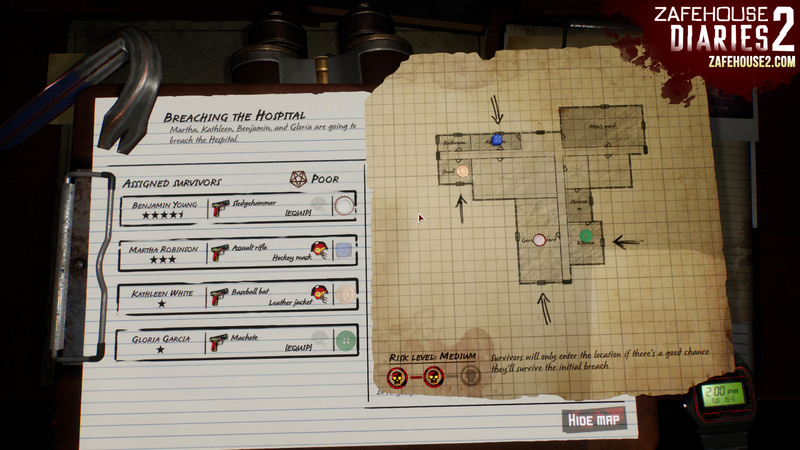 The most obvious example is the location layout, but you can also easily check your survivors' skills, injuries and special modifiers. Are survivor relationships still important? Absolutely. We've refined the system so you can have more ways to change relationships. In addition to the rumour system, we’ve added a new option: redemptions. This involves one survivor being asked to do certain tasks to 'redeem' themselves in the eyes of another, which removes a prejudice. It's also more obvious what might happen to relationships during a dilemma, so you can tactically choose an option that improves relationships. Combat is still the most dangerous aspect of the game, but you have more control over breaching. 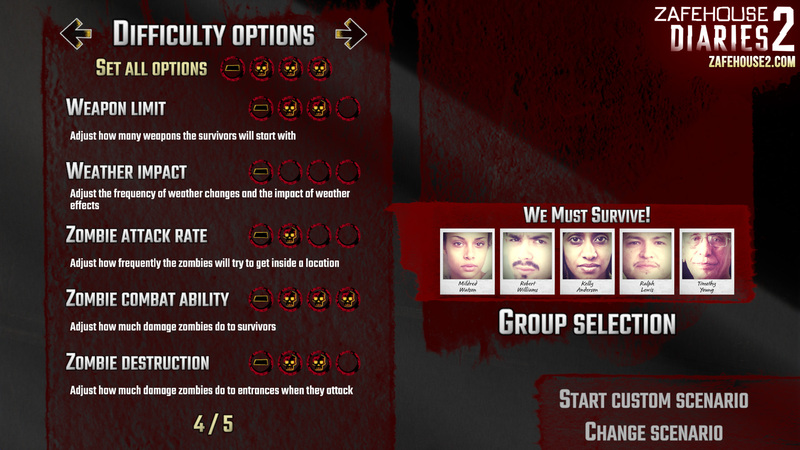 For example, you can equip survivors and select how cautious they should be while breaching. Furthermore, survivors are more likely to flee if things are looking pretty grim. 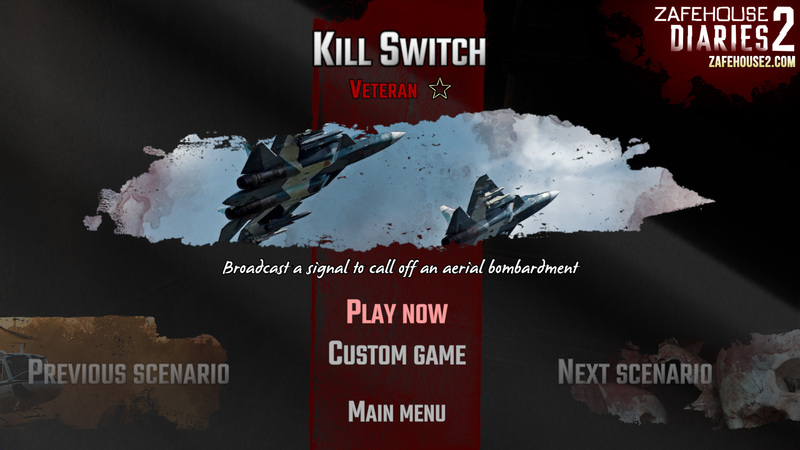 If you still find it hard, then you can tweak the difficulty settings. Dilemmas are similar to the original, but they are more varied and have a range of consequences. It's also far more obvious what might happen to your group's relationships if you choose a particular option. Is it still difficult to transport supplies around? 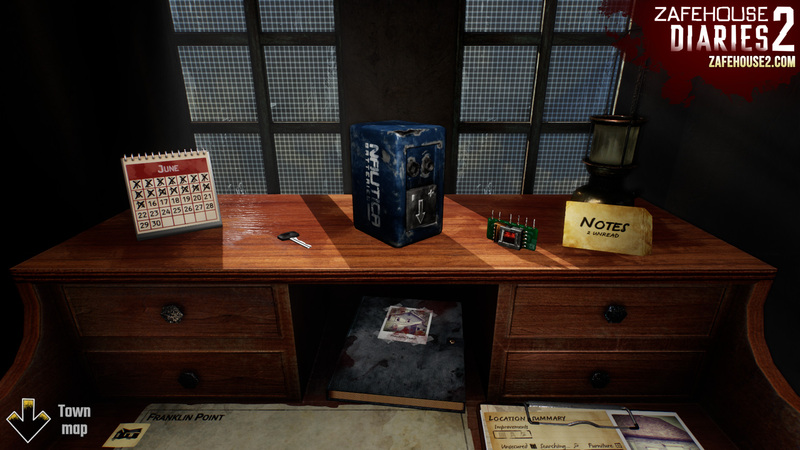 We acknowledge that moving items around was tedious, so we’ve reworked a few things. 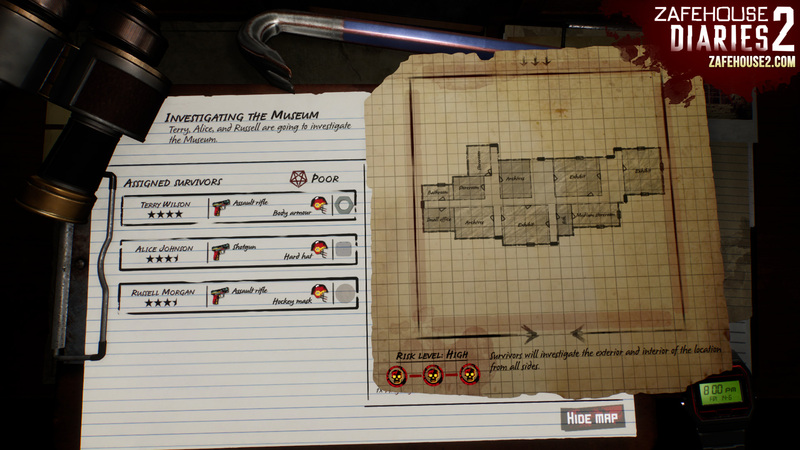 First, while there are more types of items in the game, there are fewer quantities to deal with. 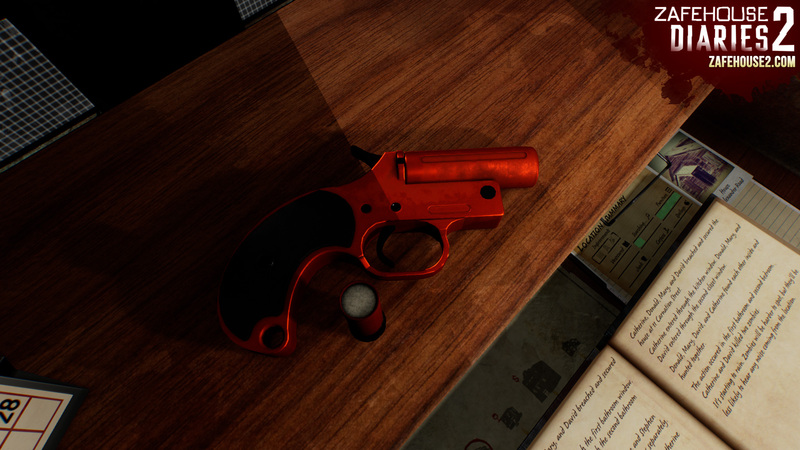 Second, your survivors can generally now carry more items, and common items (like ammunition) do not take up any space. In addition, survivors can be equipped with a weapon and protective gear - neither of which will affect the cargo capacity. 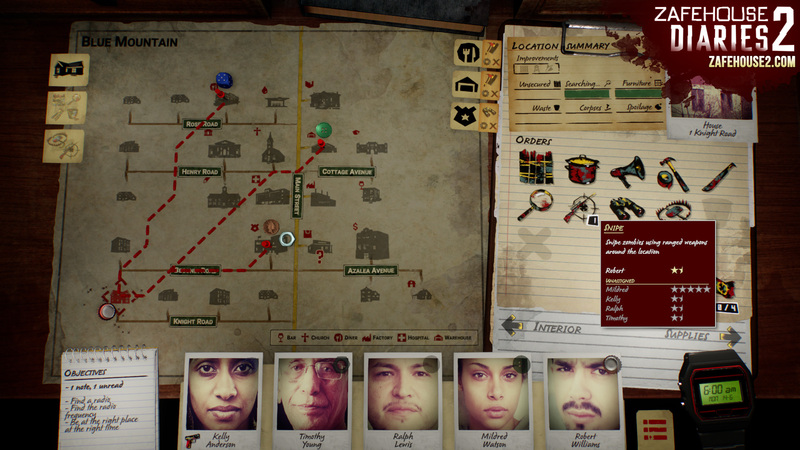 Finally, selecting an investigation or breaching mission will automatically add items to the group’s cargo. 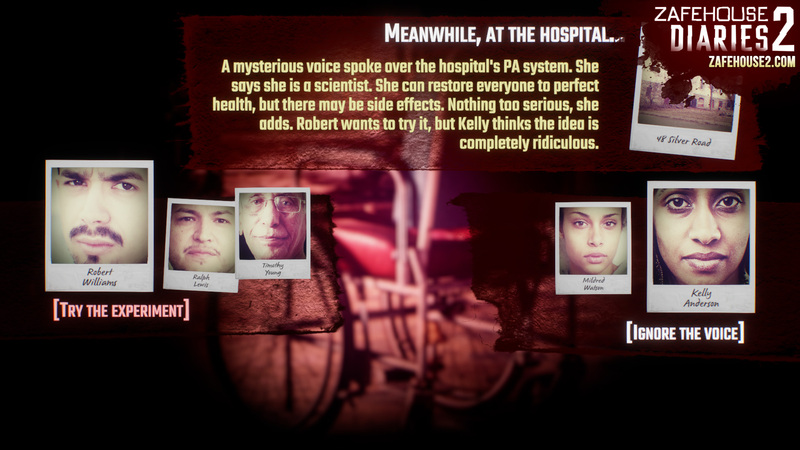 For example, if Mary has a shotgun and she’s heading to the hospital, she’ll automatically take shotgun shells and a breaching tool, if available. Before applying the update, make sure Zafehouse Diaries 2 is not running. These are the minimum system specifications required in order to run Zafehouse Diaries 2. The game may be able to run on older hardware, but we can't provide support for these configurations.